Google announced they have streamlined the process to link your Google AdWords account to your Google Analytics account. 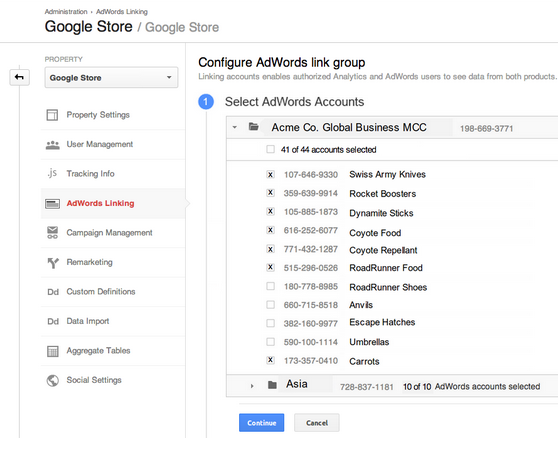 The new mechanism is launching in the upcoming weeks and will give you the ability to link multiple AdWords accounts all at once. To access this, go to your Google Analytics account, click the "Admin" button in the header, and you should see a new "AdWords Linking: section in the "Property" column. If you do not see it yet, like me, then it isn't live yet.